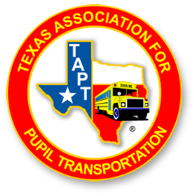 Any student enrolled in a public, parochial or other private elementary or middle school (plus high school for divisions 4 and 5 only) in the state of Texas may prepare artwork for entry into the TAPT School Bus Safety Poster Contest. Posters must be submitted by each district to the local TAPT affiliate chapter no later than the April 2017 meeting to be voted on. First place posters in each division from the local TAPT affiliate chapter will be sent to the TAPT School Bus Safety Poster Contest Chairperson, Sherri Lawson, no later than May 15, 2017 for entry into the state level of competition. Completed poster size must be 11” x 17”. Posters may be illustrated on either the vertical or horizontal axis. Designs should be submitted on quality tag, poster illustration board, or heavy paper. Construction paper may be used, but winning entries must be mounted on quality tag poster. Lamination is NOT permitted and will disqualify the poster. There is no limitation on the use and number of colors. There is no limitation on the type of media - such as print, crayon, felt pen, etc. - used on the poster design; however, wood, plastic, glass, or metal should not be part of the poster. Collage materials should not be used. Glued-on pieces will disqualify the poster. Lettering and Drawing: The poster design may incorporate freehand letters only. Stenciled, pre-printed, manufactured stick-on or press-on letters or tracings may not be used and will disqualify the poster. Lettering should be clearly legible, even if used as part of the poster design. Cut paper / stencils (free-hand or pre-drawn stick-on stencils) are not permitted and will disqualify the poster. Poster designs may not incorporate any copyrighted characters (i.e. comic and/or television characters), photographs, and magazine or newspaper illustrations. Drawings must be original, correct in safety concept, and the exclusive work of the student entering the contest in idea, design and execution. All artwork should be positive in approach, demonstrating only proper school bus safety behaviors. At least a part of a yellow school bus must be present in the poster. There must be a Contestant/School District Contact Information form securely fastened to the back of the poster. Information muse be printed clearly and legibly. Download the Contestant/School District Contact Information form here. DO NOT place name, school, etc. on the front of the poster. Display this information on the back of the poster only. An art instructor or art teacher should supervise all work. My Driver - My Safety Hero! Contestants must illustrate the above theme only. The theme on the poster must be exactly as shown above, to include all punctuation. When Can Posters Be Drawn? 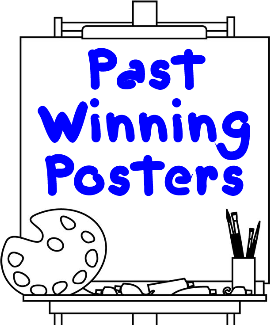 Posters can be drawn any time between September 2016 and April 2017, up to the deadline to submit an entry. Posters must be delivered to your local TAPT affiliate chapter no later than the April 2017 meeting to be voted on. 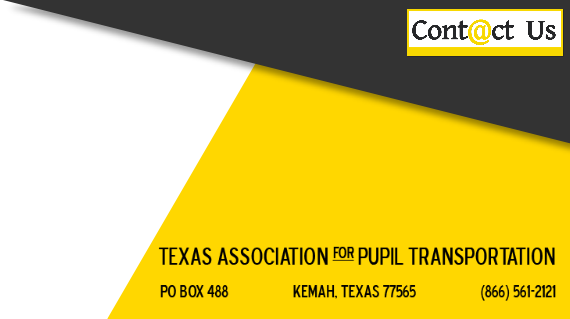 The state level contest will be conducted in conjunction with the 2017 TAPT Conference and Trade show in Frisco, June 2017. Winner selected at the state level will be posted at www.tapt.com after July 1, 2017. First place winning posters from the state level contest will be sent to the National Association for Pupil Transportation (NAPT) Headquarters by October 1, 2017 for entry into the national contest. The TAPT School Bus Safety Poster Contest committee reserves the right to disqualify any entry that does not comply with all contest requirements.